Today is the day I'm reopening my online shop! I have 6 new items available and plenty of fun to come in the months ahead. I'm starting off with some pocket card collections and a few printables. I'm excited about these and also looking forward to some different kinds of items to join the lineup soon. Nothing refreshes my soul like a mountain retreat. I'm not much of a camper, but I love being in the outdoors under a star-filled sky. There is no better designer than Mother Nature! Fall is my favorite time of year. Chilly mornings are perfect for hot chocolate and golden afternoons warm the soul. 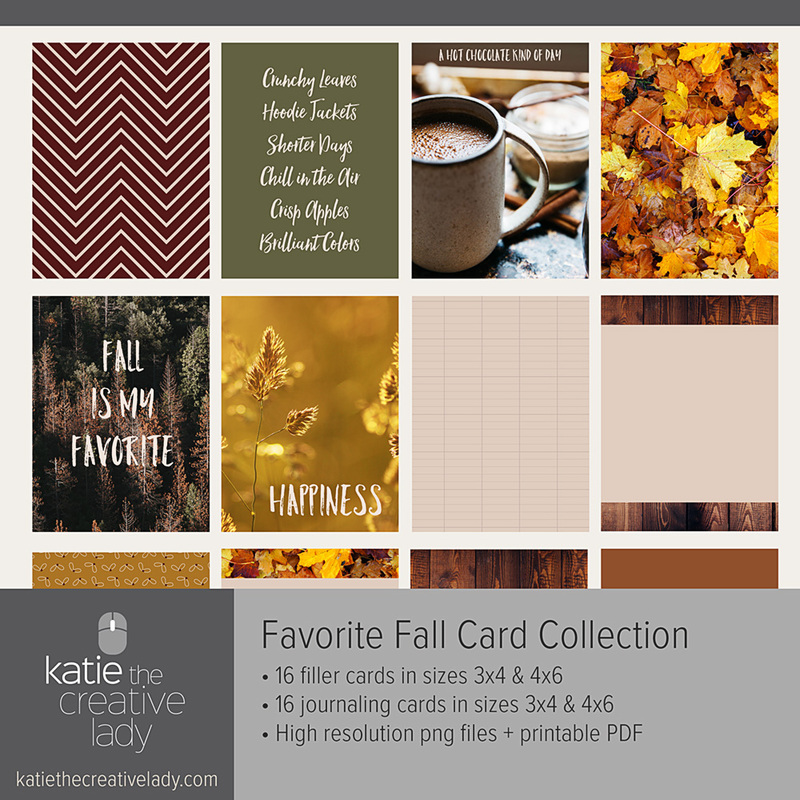 Use this card set to document your favorite fall memories. I'm always looking for more education in my life. I love to learn and I'm grateful that the rest of my family feels the same way. Whether you are a student or a lifelong learner, you will enjoy documenting your brainstorms with this card collection. Halloween may be over, but I bet you haven't documented it yet. I know I haven't! We aren't much into the scare factor in our home, but we certainly embrace the sugar high. This classic card set will help you bring your October memories to life. I'm mostly a pocket scrapper these days, but these cards can be used for all sorts of creative projects. I love them for pocket based pages like the ones created in the Project Life App or with my own digital templates. They are also fun for planners and journals. If you create something with any of these sets, I'd love to see it so feel free to leave me a comment or send me an email anytime.